summers can be a real killer for a healthy appetite. i don't know if you're like me, but, whenever the temps outside increase, my appetite decreases. it's gotta run in the family because my memaw was well known for saying, while scratching her scalp with both hands, "it's too hot to eat", all through the Summer months. ...what to do when you've gotta keep nourished but want something cool, tasty, & light? 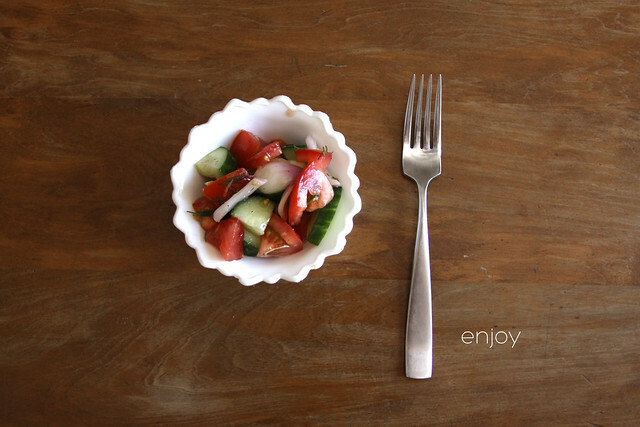 i've come up with a very tasty Summer tomato salad that hits the spot. read on for directions. 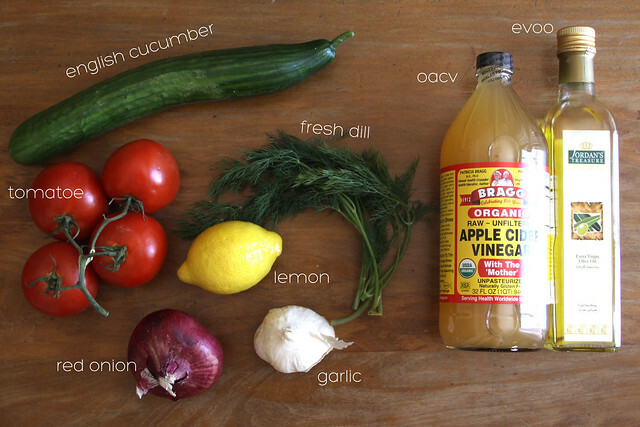 in a large bowl combine the zest & juice of lemon with olive oil, dill, garlic, vinegar, salt, & pepper. 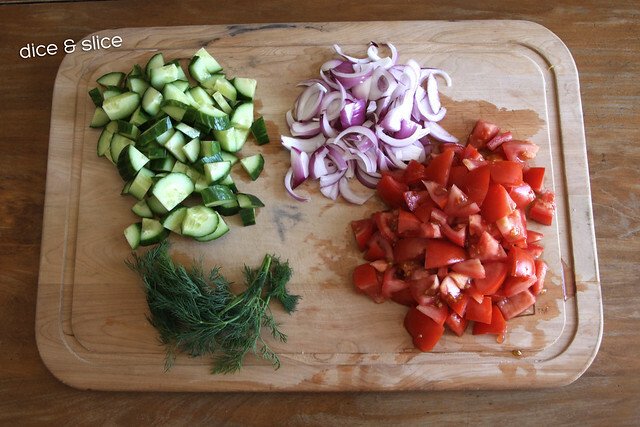 add the diced cucumber, tomato & sliced red onion to the bowl. mix thoroughly and allow to marinate in the fridge for a few hours. it's best after it's sat for twenty-four.